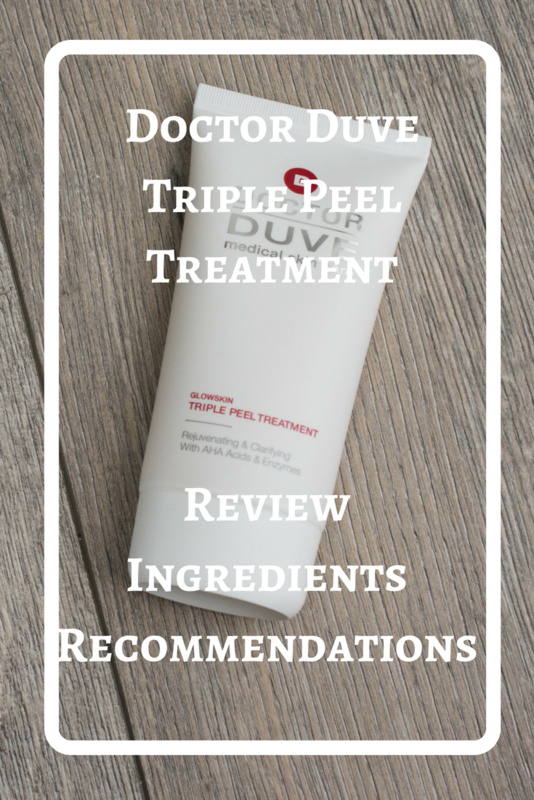 To stimulate cell turnover is the goal of this effective, triple action peel for the ultimate beauty treatment at home. 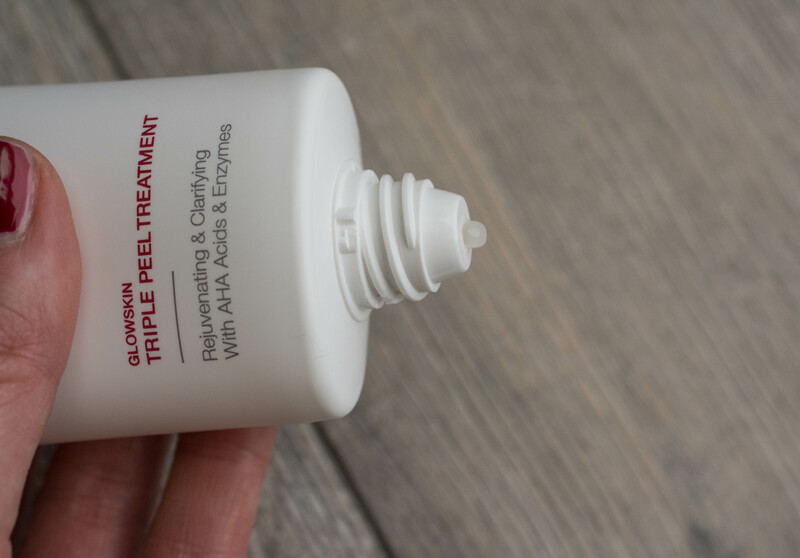 The GLOWSKIN TRIPLE PEEL TREATMENT offers maximum exfoliation with it´s unique blend of acids, enzymes and physical peeling particles. Dead skin cells, responsible for skin looking dull and sallow, are softly removed, the skin feels even, plump and imperfections are visibly reduced. At the same time circulation, collagen production and cell renewal are increased. 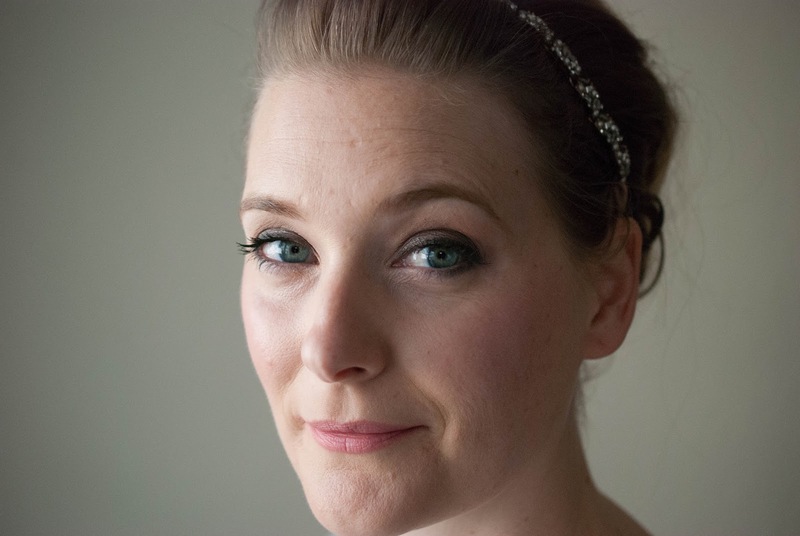 Immediate results on three different levels for a radiant complexion. One squeezy tube contains 75 ml and retails for 75 € on the website here. As this is a treatment more than a daily peel 75 ml will last you a very long time. Grainy in texture due to the physical exfoliant bits the treatment spreads easily on the skin. It feels a little like applying a lightweight SPF with sand stuck to your fingers. Not unpleasant, just strange. There is no noticeable scent despite the added fragrance. It just smells… fresh? I use this one once a week at night after cleansing my face, usually as the first step to a face mask heavy pampering routine. As I mentioned above, there is a sting to my acid adapted skin, and while I know better to attribute sting to effectiveness when it comes to facial treatments, the results with this one are immediately noticeable. Despite me using a gentle exfoliant on a daily basis, my skin after using that treatment is just a little brighter, a little softer, a little more everything. Yes, a little more sensitive as well. It delivers immediate results and intense exfoliation. Unlike my other acids, this one is much more of a treatment than a daily skincare item, probably the closest that I, living the mom life with no spare time, will come to a peeling treatment at an aesthetician. Seasoned acid lovers and people that want to come as close to a treatment as possible at home. If you are new to acids or if your skin is really sensitive, I would suggest you try something else first though. 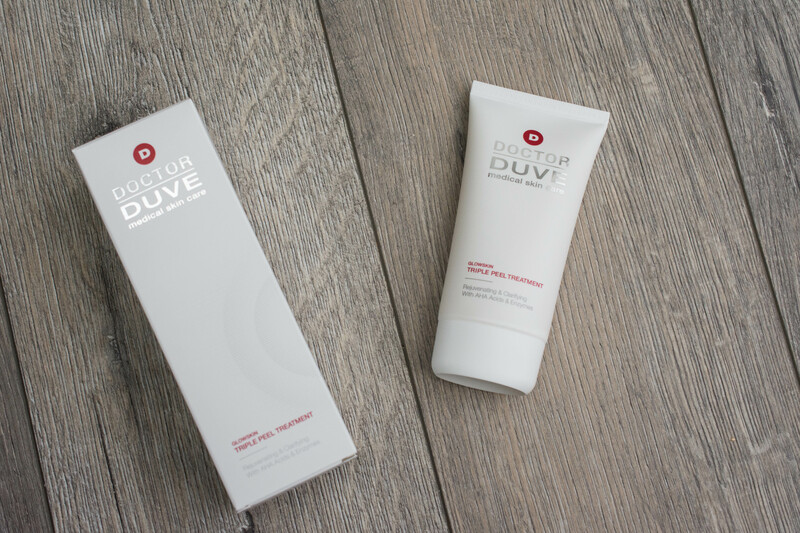 And if the aforementioned Aurelia Refine & Polish Miracle Balm is the comfort blanket you need when feeling down, the Doctor Duve Glowskin Triple Peel Treatment * one is the killer heels you wear if you want to show the world who is boss. Completely different, but each very much needed in your arsenal. The items in this post is a PR sample. I was under no obligation to write about it and all opinion expressed are honest any my own. Links may be affiliate links via Skimlinks.